It's pretty simple, but every step has significance. 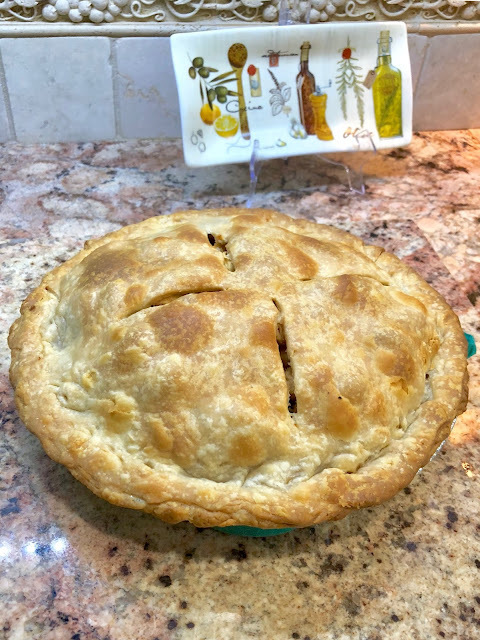 This pie takes about an hour to complete. Get pen, paper, your best cooking music and lets do this! Heat the oil in the pan. Add sugar when oil is melted and cook until sugar has melted. (Don't put the heat too high to avoid burning). Add apples, milk, vanilla and spices. Cook on low heat for about 10-15 minutes until softened, stir every so often. Add the corn starch and heat for 2 minutes until thickened texture. Preheat the oven to 375 degrees Fahrenheit. Add all ingredients in a large bowl. *Add the water little by little, slowly until it forms into dough. 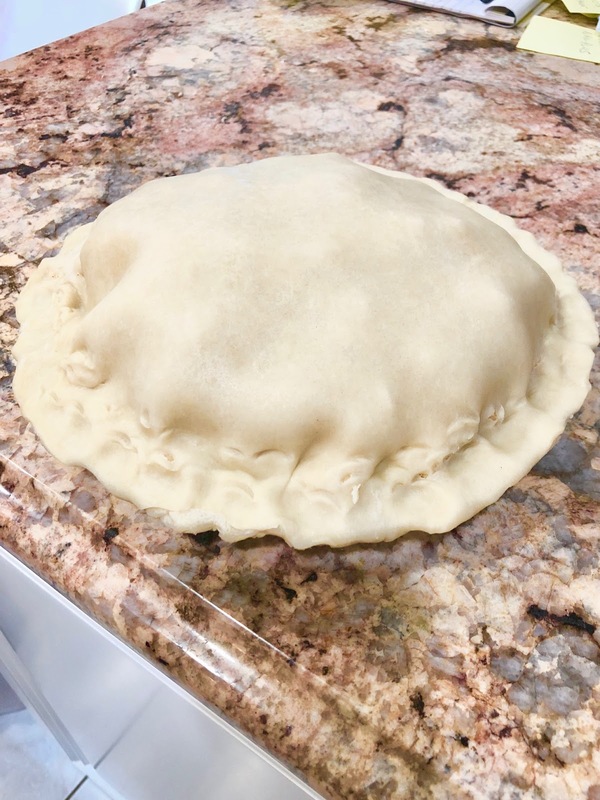 Divide the dough into two and add one half to a greased pie dish (you can use coconut oil/spray). Press the dough against the bottom, sides and edges. Roll the other half of the dough in circular shape big enough to cover the pie with a rolling pin. Pour the body of the pie into the pastry pie crust. Place the top layer of the circular pie crust. Lightly press the top layer into the edges of the pan. Use a knife to create small slits in the center of the pie (this helps the body of the pie cook faster). Need to do this within a minute or two, so the body of the pie does not melt the base. Bake in the oven for a half hour until the crust has hardened and turned into a golden caramel color. Let cool for about 15-20 minutes before serving. Eat up and enjoy the apple warm goodness!